Dial Archive | Dial | 212 By Artlink | One Lucky Guitar, Inc.
212 is a place for art and artists. It’s a place for ideas: creative, insightful and daring ones. Ideas that make our world better, more beautiful, more interesting. And it’s a place to connect and collaborate. To experiment, iterate, refine, and launch ideas and stories into the world. Together. Welcome to 212 by Artlink. This is Art Made Possible. 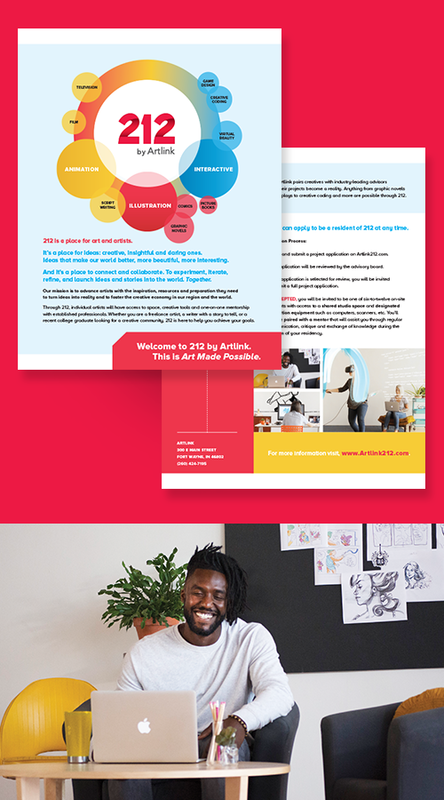 When Artlink presented us their idea for a new arts incubator they had been working on for over a year, we were excited to get crackin’. But what better reference to name a place that truly offers the final push for an artist to bring their idea past the tipping point? So we created a video that would exemplify a range of different projects artists could create at 212, and showcase the connectivity they would have to advisors from all across the globe. The vision for the video was colorful, clean and connected to match 212’s mission of creative excellence, organizational leadership and collaboration. Check out our introductory video to 212 by Artlink and learn more at Artlink212.com. We can’t wait to see what comes out of it!